Baltimore County politics watchers: Elections officials sent out 3,585 absentee ballots to Democrats and 1,279 absentee ballots to Republicans. We have unknown ## of provisionals. Both primaries are close so far; we may not get winners tonight. You guys. 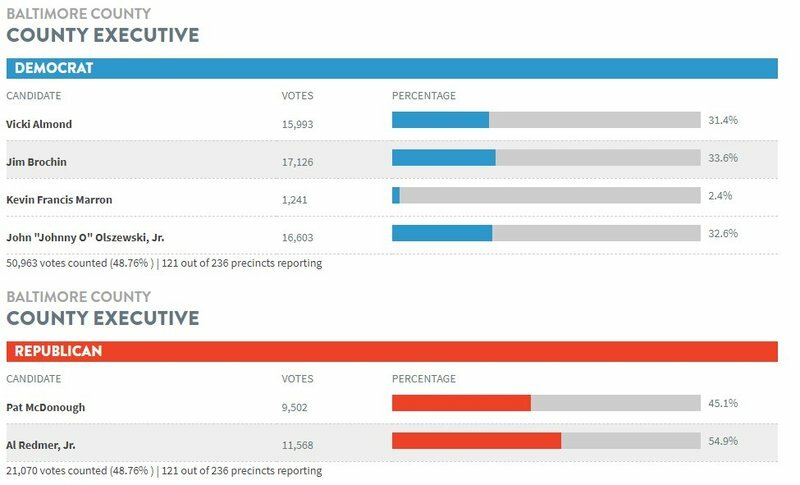 The three leading Democrats for Baltimore County executive are separated by less than 1,700 votes. Two-thirds of precincts are in. Jealous leads Baker in Baltimore 2 to 1. They're roughly tied in Montgomery. Baker has edge in Prince George's. Bonnie and Kenny Woolford at Baltimore County executive candidate Vicki Almond watch party. 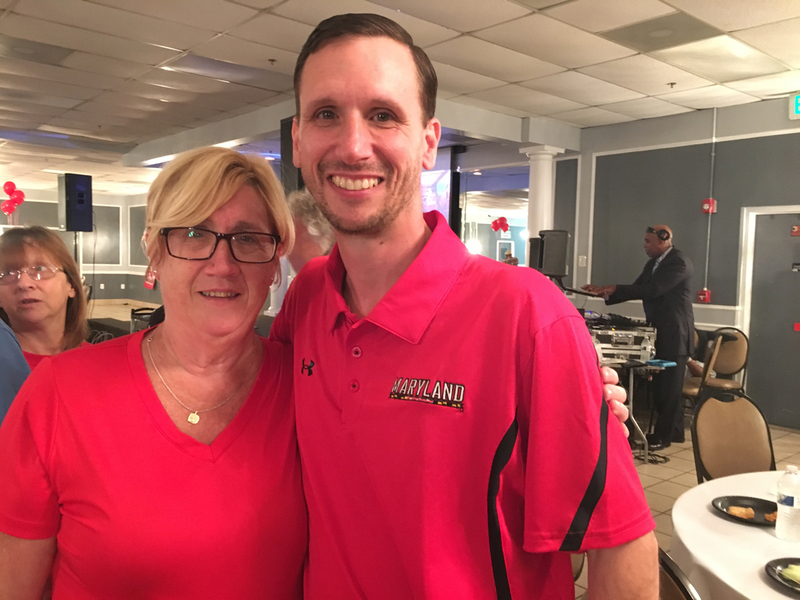 Kenny Woolford, 42, doesn’t live in Baltimore county so he couldn’t vote for Vicki Almond, but he showed up to her election party anyway; She’s his mother-in-law. Woolford’s mother Bonnie Woolford, 69, first met Almond in 1986 when they both became members of Franklin Middle School’s PTA. Woolford remembers Almond’s willingness to get her hands dirty both figuratively and literally during a plant sale at the school. 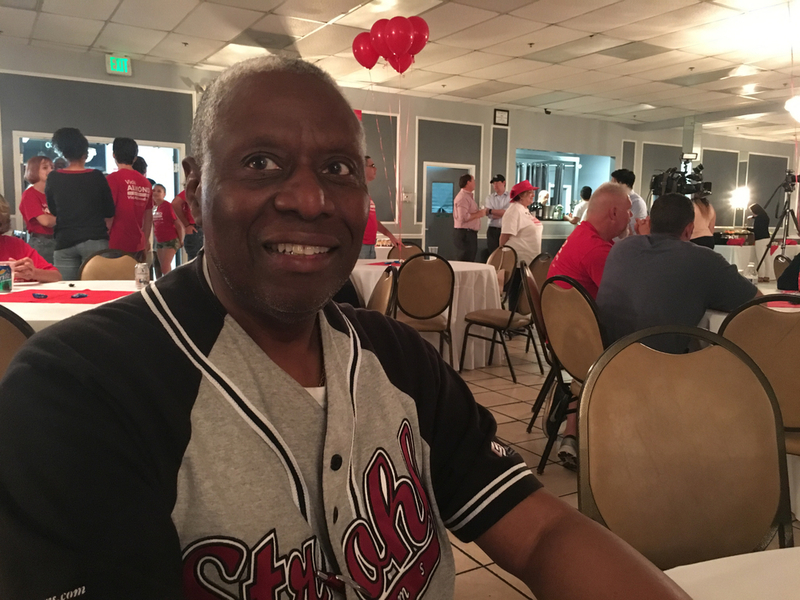 David Peterson considers himself a "tough customer" when it comes to politicians, and Baltimore County executive candidate Vicki Almond passed his test. Two weeks ago, he saw the campaign on the side of Liberty Road and stopped to ask Almond some questions. Peterson, who is in his 60s, began volunteering with the campaign and cast his ballot for Almond during early voting. He especially appreciated her plan for improving the Liberty Road corridor. 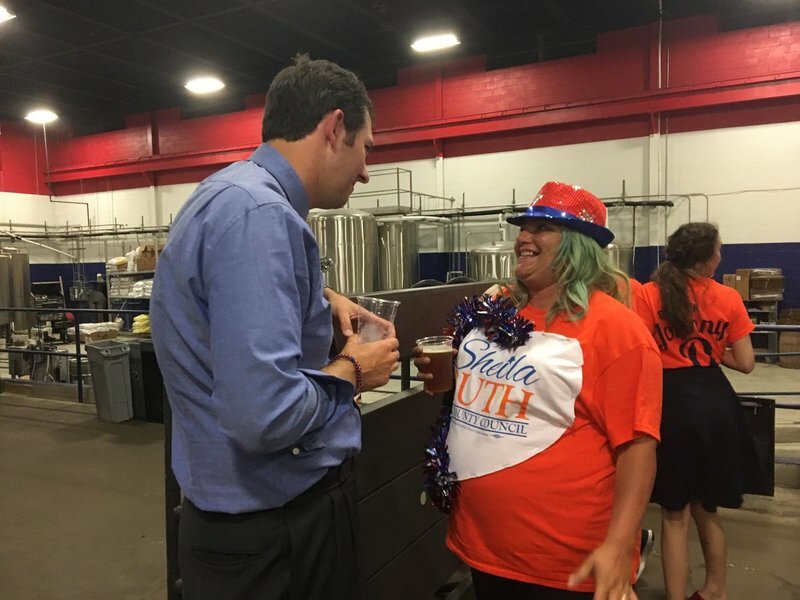 “I felt that she was genuine in what he was saying and she had a vision for Baltimore County that is long overdue,” he said. 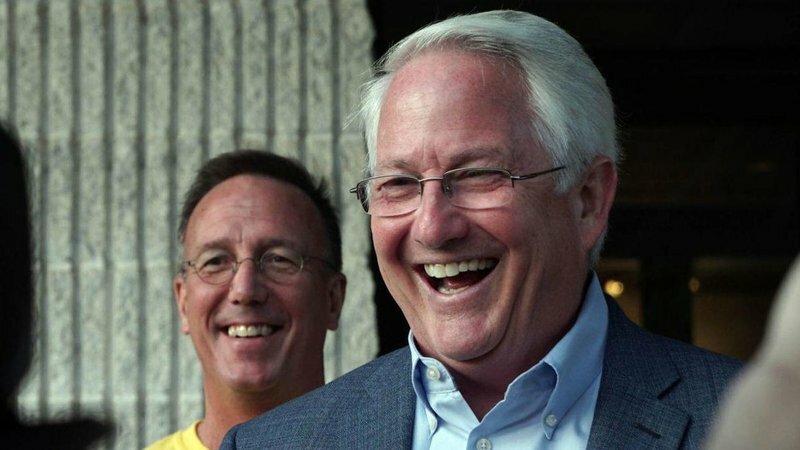 Joe Vallario, who has been in the House of Delegates for 43 years, could lose his seat tonight. He's running a distant third in a two-delegate district. Vallario, 81, has been chairman of the House Judiciary Committee for 25 years. Things look great for @AlRedmerJr in Baltimore County. That's a huge win for Republicans wanting to retake that post.
.@AlRedmerJr taking the stage now at his election night party, expecting him to declare victory in the Republican primary for Baltimore County executive. Breaking: Ben Jealous has declared victory in the Democratic primary race for governor. Rushern Baker is coming down now to address supporters. Our reporter @RectorSun at Jealous headquarters says Jealous got a concession call from Baker. 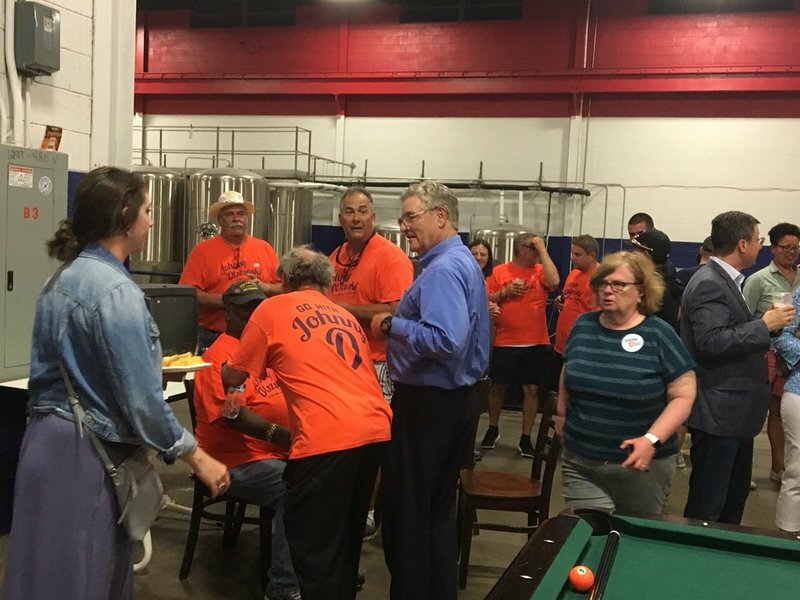 BREAKING: Jealous’ staff just announced Jealous got a call — Rushern Baker has conceded.